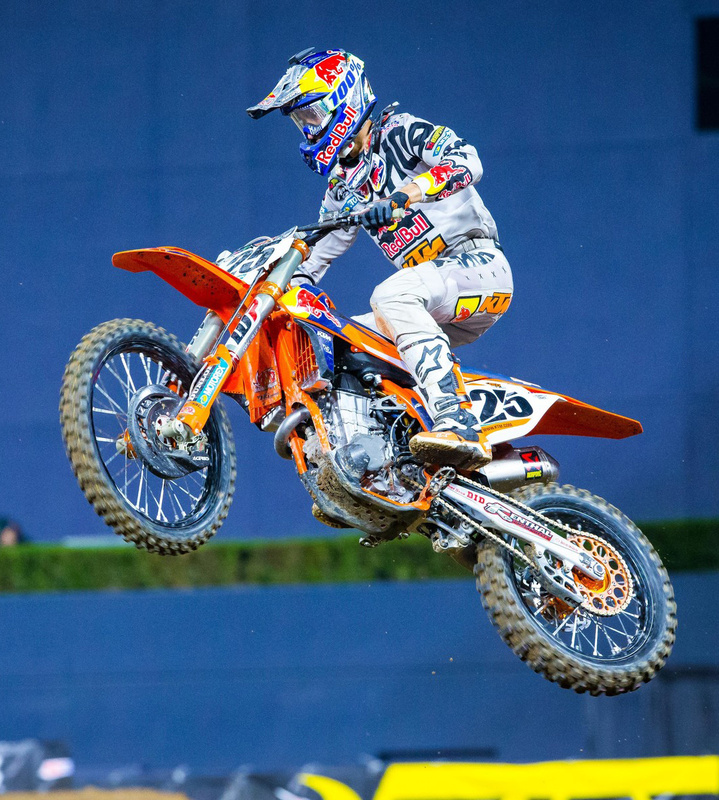 Round 2 of the AMA Supercross Championship took place in San Diego on Saturday and it was a successful day for Red Bull KTM Factory Racing teams in both the 450SX and 250SX divisions. In the premier class, Red Bull KTM Factory Racing Team’s Ryan Dungey made it an exciting battle to the finish to earn 2nd overall, while teammate Marvin Musquin rounded out the podium with a 3rd place finish. TLD Red Bull KTM’s Shane McElrath continued his success from the opening round to capture his second-straight victory in the 250SX class. Ryan Dungey got off to a good start on the day as he claimed the top position in timed qualifying, which awarded him first gate pick heading into the evening’s heat races. Dungey was joined in 450SX Heat 2 by his teammate Marvin Musquin, who qualified 5th earlier in the day. 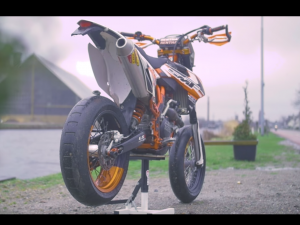 As the gate dropped for 450SX Heat 2, Dungey powered his KTM 450 SX-F FACTORY EDITION into a 2nd place position, with Musquin just inside the top five. While Dungey maintained a solid 2nd place position throughout the seven-lap race, Musquin powered his KTM past Chad Reed and Cooper Webb to ultimately capture a 3rd place transfer position into the Main Event. It was a great start for KTM riders as Dungey captured the holeshot, followed by Musquin and Rocky Mountain ATV*MC/WPS/KTM’s David Millsaps close in tow. While running in 2nd on the opening lap, Musquin had a close call where he went off the track for a brief moment and lost a position to Ken Roczen. Luckily, Musquin recovered quickly and settled into the 3rd place position early on as he set his sights on the lead duo ahead. 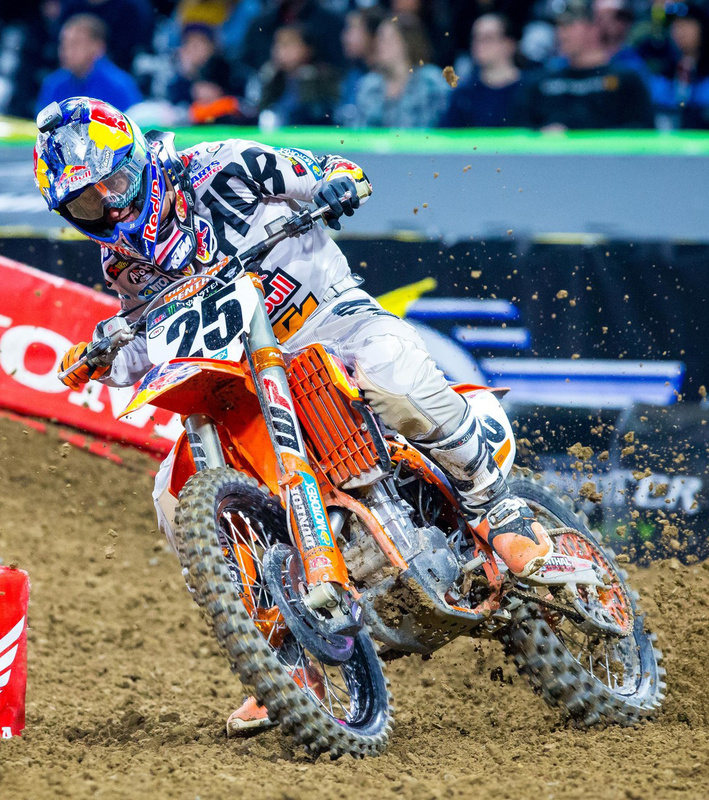 Dungey led the first seven laps of the Main Event until Roczen took over the lead just before the halfway point. Dungey didn’t back down though, as he continued to pressure Roczen for the lead position. Due to the new format of timed-races, the Main Event extended itself to 24-laps in total, which proved to be valuable for the reigning back-to-back champion as he reeled in Roczen near the end. Heading into the final moments of the race, Dungey pulled himself to less than one second behind Roczen and the duo battled it out toward the finish. Dungey made a mistake on the final lap to ultimately allow Roczen the freedom to capture the win, where he finished 2.5 seconds back for 2nd place. Musquin maintained a solid 3rd place position where he captured his second-consecutive podium finish through the first two rounds. Shane McElrath didn’t get the most favorable jump off the line but he pushed his KTM 250 SX-F FACTORY EDITION into a top five position on the opening lap. The points leader played it smart in the beginning stages of the race, where he moved his way into 3rd by lap five. From there, McElrath put on a major charge to climb his way into 2nd where he contested for the lead position in the final laps of the race. 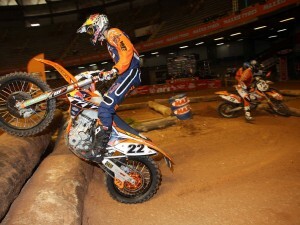 McElrath made a big charge in the final moments of the race as he pressured Martin Davalos for the lead position. McElrath eventually made a pass for the lead with two laps to go and he held on to the checkers to capture his second-straight victory and career win No. two in the 250SX West Class.